The University of Newcastle (UON) Australia's sociology discipline has ranked in the top 150 in the world, confirmed by the QS World University Rankings by Subject 2016. Sociology illuminates human behaviour by looking for the links between individual experience and the social context in which we live, work and play. Youth sociology is a unique area of research expertise at the UON and has seen the creation of the Newcastle Youth Studies Group (NYSG). Researchers in NYSG examine inequalities that affect young people's lives across national and international contexts, with a particular focus on Australia, South-East Asia and the Pacific. NYSG member and UON sociology lecturer Dr David Farrugia (pictured) is supporting the development of strong regional communities through his study of youth in regional areas and how they are responding to conditions of high unemployment and industrial restructuring. “These regions are hot spots of very rapid changes in the labour market – change that is emblematic of broader changes in the global organisation of work that have seen countries like Australia shift to increasingly urban-centric service economies.” Dr Farrugia said. 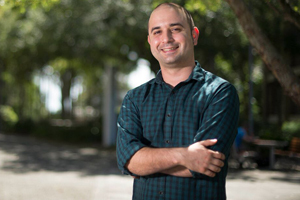 Dr Farrugia’s three-year project, which is supported by a 2016 Australian Research Council (ARC) Discovery Early Career Researcher Award, will provide an innovative evidence base for the design of welfare interventions and social policies that support marginalised young people to build fulfilling employment futures. Sociology can be studied as a major in the Bachelor of Arts, Bachelor of Social Science, or as an MPhil or PhD in Sociology.